Sports parents can sometimes forget that the sports experience should belong to their children. When parents are too intrusive, controlling, or over-involved, it undermines kids’ experience. 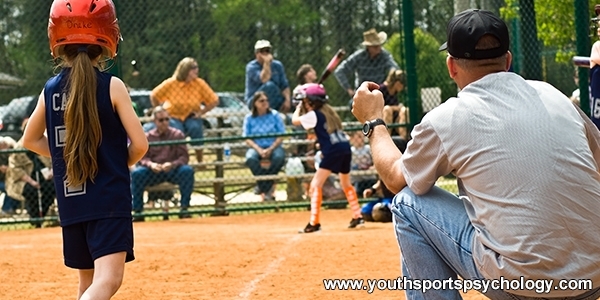 Sports parent no-nos include being too pushy, too loud on the sidelines, and coaching from the sidelines. This type of behavior will distract your kids and hurt their focus. You need to find a balance between being overly involved and not involved enough. His dad had a reputation for being overly pushy as a sports parent, but the truth isn’t so simple. He encouraged young Tiger to play other sports and engage with academics, nurturing Tiger’s natural competitive spirit. By allowing Tiger to choose where to place his competitive energy, this gave Tiger his own sports and academic experience, he obviously did quite well. However, when parents are too pushy, they focus too much on their own dreams and not thinking enough of their children’s. The sports child can feel lost, robbed of the curiosity, passion, and excitement that should be guiding their sports experience. Under these conditions, they are unlikely grow in their sport or enjoy it as much. Parents should try to be the best cheerleaders as possible. Being supportive and backing your sports children’s decisions are essential steps toward letting your children have their own sports experience. Children benefit the most from positive feedback, so try to focus on the positive and let most of the negative slide away unless your sports kids bring those negatives up. After a bad game, let your children know you saw their accomplishments, perhaps working on smaller aspects of their game, hustling, or communicating with teammates. Remember, the most important thing is keeping in mind that the experience belongs to the child, not the parents.